Tossing people's luggage to and fro all day as a baggage handler must get pretty exhausting, so wanting to throw back a beer or two at the end of a long shift is totally understandable. But it's probably best that they enjoy happy hour after they clock, lest they find themselves in a position similar that of an airline employee who recently drank too much, passed out in a plane's cargo hold, and inadvertently flew all the way to Chicago. 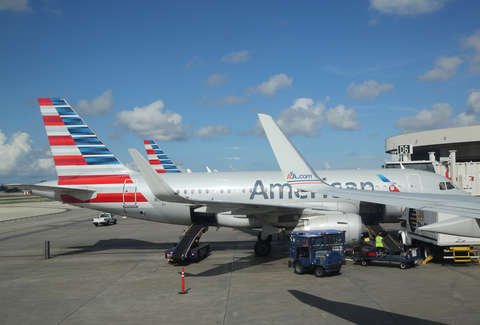 The impromptu trip took place on Saturday, when a Piedmont Airlines baggage handler in Kansas City was working on an American Airlines flight and somehow fell asleep in the heated and pressurized cargo hold of the jet. He was later discovered with the baggage, when the plane was unloaded about an hour later at its destination: Chicago. As for how he got there, the unnamed employee reportedly told Chicago Police that he was intoxicated and had fallen asleep, according to CPD Spokesman Anthony Guglielmi, per a report from local news station WGN9. The man's jaunt to the Windy City was a quick one, though. He was sent right back to Kansas City (as a proper passenger), and no charges were filed, according to the report. It's unclear whether or not he still has a job, but it's fair to assume drinking during your shift is probably frowned upon by management. On the other hand, it's kind of troubling to realize how easy it is to apparently fly unnoticed in the belly of a plane. Let's just say, hopefully this doesn't end up becoming a guerrilla travel hack.